According to the CPF’s web site, the property pledge for the CPF MS at age 55, has been changed to the following: “If you are unable to set aside your full Minimum Sum in cash, your property, bought with your CPF savings, will be automatically pledged for up to half of the Minimum Sum”. The important thing to note with this rule is that if the shortfall is less than half of the MS (or $58,500, at the current level), the remaining value of the property ($58,500 less the MS shortfall) becomes irrelevant. This is different from a previous “property pledge” rule, as seen in this 2003 CPF Board press release, which allows members to choose to pledge their property for up to half the MS. Under this rule, members who are unable to meet the MS are allowed to pledge their property for up to the full 50 per cent of the MS – rather than just making up for the shortfall. Therefore, if their MS shortfall is less than the 50 per cent of the required amount, the remainder from the property pledge would translate into funds available for withdrawal. Here’s an illustration. Currently, in the example given in the new CPF booklet “Reaching 55”, a person with $100,000 in the CPF Ordinary (OA) and Special Accounts (SA) can withdraw 30 per cent, which is $30,000. Under the new “property pledge” rule, the MS shortfall of $47,000 (current MS of $117,000 less the $70,000 retained in the RA) will automatically be pledged with property. Under the old “property pledge”rule, this person would have been able to pledge the full 50 per cent of the MS, which is $58,500. This means he or she would be able to withdraw $41,500 (from the $100,000 in his or her OA and SA, less $58,500), as compared to just $30,000 under the new rule. Another implication of this new rule will take effect in 2013. For members who turn 55 on or after 1 January 2013, the CPF cash balance can only be withdrawn after setting aside both the CPF MS and Medisave Minimum Sum. If this is not met, they can withdraw only $5,000 from their CPF account, regardless of any property pledge. With the MS in 2013 being likely to be $135,000, assuming the current rate of increase of $6,000 per year remains constant, there may be more people who will face an MS shortfall when they turn 55. Furthermore, since February 2009 , property sale proceeds must be retained in the RA if there is a shortfall in the MS. In some cases, where the member’s MS shortfall is too great, the property sale proceeds retained may be even more than 50 per cent of the MS. Part or even all of the net sale proceeds may not be available for the member to buy another property. The view that one’s HDB flat is an asset enhancement – something one can monetised for retirement – may increasingly become less valid, with the MS increasing every year. Given all the significance this “property pledge” rule change has on CPF members, it should be asked as to why there was no announcement made in Parliament or to the media? To be sure, even the previous CPF booklet “Reaching 55” (attached) covering the period 1 July 2009 to 30 June 2010 showed the new “property pledge” rule. So when exactly was this rule changed? Fear tactics has always worked here. People dare not vote against the ruling party because of fear. Fear that they and their children will be marked. (not so effective lately. Fear that their estates will become a slum and thus their property value will drop. Fear that the the economy will fail and moms, wifes & sisters become maids overseas. Well its about time the opposition used the same tactics. Instill fear in the people that all their savings in the CPF is being taken away, that the HDB houses have only paper value, that our billions are being lost by brilliant lady. Instill fear that we their children will become labourers in their own country, that their children cannot afford homes. That the country is being overtaken by foriegners. Soon we will have super rich foriegners staying in Sentosa, Marina & Orchards. PAP government linked companies like Temasek Holdings headed by Ho Ching and GIC headed by MM Lee had borrowed heavily from CPF Fund and made huge losses of more than S$58 billions Singapore dollars in bailing out US banks and speculative tradings especially in 2007. So need to constrain local citizens from withdrawing their CPF monies. Uncle Leong wrote on this CPF Life thing some months ago, at this very site TOC – u do a search and could locate it. Indeed, there is NO GUARANTEE that CPF life Fund will be solvent. And this Gan already said very very clearly in reply when Halimah raised a question IN PARLIAMENT why CPF Life payments ARE NOT Guaranteed. Halimah questioned, ‘how come, this is not a commercial contract (and even commercial contracts can have guarantee), how come as a government CANNOT guarantee’. So guys – tan koo koo IF CONTINUE to vote for pap bastards!!! The whole revised CPF withdrawal scheme will become a sort of monster nightmare to many of us, courtesy of PAP. Just imagine CPF as our National Savings Bank, telling its depositors that they can’t withdraw their savings in full at age 55 but withdrawal will be deferred only with monthly payouts starting at age 65. If you happen to die between 55 to 65, you don’t even have a chance to smell your hard earned savings and good luck to you, thanks again to PAP. Why force this destined age group to leave their minimum CPF sum to their heirs ? I think this must be the most restrictive and unequitable policy implemented by PAP as it seems to penalise those whose lifespan is between 55 & 65. Can we ever forgive PAP for implementing such a damn policy ? CPF is getting as complicated as taxi charges. 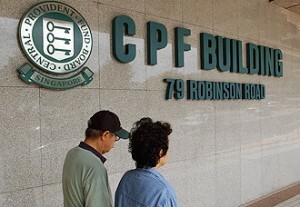 If you do not may a trip to CPF office,you will never understand CPF withdrawals etc. Unlike the good old days when you reach 55, you can withdraw the whole amount and do what you always dreamed about. I am just wondering what the Government or CPF is doing with our money forcefully withheld under minimum sum, special account, medi-save etc. I don't really understand the CPF property thing. Is it mean if we can't hit the min sum in our CPF, they will use the value of our property to deposite in? Or it only apply for buy and sell? Can someone elaborate further, please? undeniable PAP has contributed significantly to the growth of Singapore. W/o them we will not be who we are today, we might be the ones riding motorbikes going up to the north to do cement and brick laying or drive buses for our neighbours. of coz i am not totally siding with the PAP either..
the govt have being changing the rule for CPF and it really makes me feels very uncomfortable. apart from this new ruling of MSS and property pledge, don't forget abt the 60k capped for investment using our CPF during 2008, where we are only allow to use our cpf o/a acc above 20k to invest. Question is, why do that at that time when the whole market is in turburrence and when investing in that time is the best.. just because our temasek holding and GIC losses money in oversea investment.. we are to pay the price and got locked in our CPF and cant do any monthly purchase.. which eventually unable to realise signifiant gains when the mkt recovers.. come on.. its not cool.. I can picture singaporeans working in the future when they already reach the retirement age. When asked they will say "I got a lot of money in my CPF account, but I just can't touched them, I can't really afford to enjoy life but theoritcally, I'm rich!"